The training and promotion of young scientists is an explicit commitment of all our members and participating institutions. Our consortium seeks to attract highly motivated and gifted early-career investigators to provide them with skills and qualifications needed to become the rising generation of biomedical and clinical scientists. With our coordinated Young Scientist Programme we strive to stimulate and support the early-career researchers to prepare them for leading positions in academia, research institutes and industry. Horizontal integration of training will be achieved through several mechanisms. The use of web-based video communication will provide a means to disseminate lectures and seminars throughout the network. Interdisciplinary practical courses are offered on specific subjects and advanced technologies. They are tailored to promote knowledge and to aid in research by introducing new methods and tools. Young scientists have the chance to attend up to two one-week laboratory rotations at participating university sites. This opportunity will broaden their horizon and allow young investigators to benefit from the wealth of scientific possibilities at the different centres of the CRC/TRR. Vertical integration at any university site will be achieved by local training programmes consisting of practical work in the laboratory, progress reports, journal clubs and local CRC/TRR seminars. This will serve to foster the interaction of scientists at different levels of their academic career (professors, group leaders, postdoc, doctoral candidates, students). 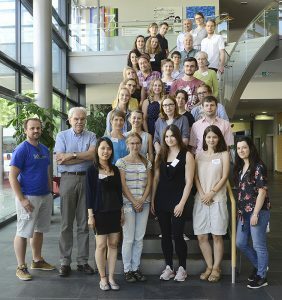 The completion of the CRC-provided educational programme will endow young researchers with scientific competence as well as laboratory management and communication skills as the foundation of individual success and long-term advancement is an important field of basic biomedical and clinical research. 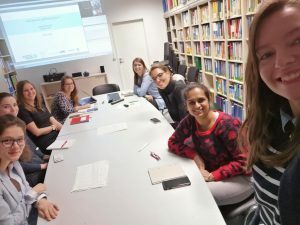 On a monthly basis our young scientists of the CRC/TRR 205 meet via video conference with their colleagues in Dresden, Würzburg and Munich to discuss their projects and latest publications. The meetings offer the possibility to establish a network among the scientists in different centers and to get an insight into the work of different projects. It consists of two parts: At first one PhD student presents the current status of his/her thesis and afterwards the scientists discuss a publication in the Journal Club. The Young Scientists Club is part of the structured TAC (thesis advisory committee) Programme which the CRC/TRR205 offers to all its PhD students.